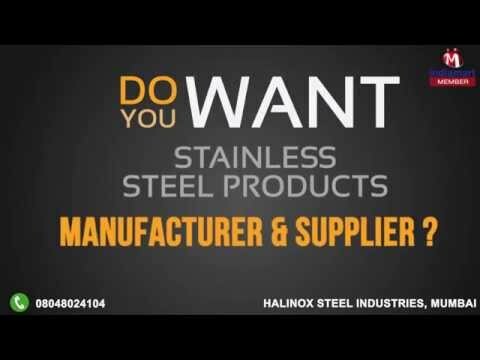 Welcome to Halinox Steel Industries, established in the year 2005, we are one of the leading manufacturers and suppliers of a wide range of SS Steel Slot Pipe,SS Design Pipe & SS Glass Brackets. Our product range consists of SS Steel Slot Pipe, SS Steel pipes and SS Design pipes. We procured the basic material for our products from the most prominent suppliers of the industry who are popular for their quality and timely delivery. Under our quality assured product assortment, we are offering SS Steel Slot Pipe, SS Steel pipes and SS Design pipes. To meet the exact needs of our clients, we are offering these products in various technical specifications at budget friendly prices. The complete manufacturing process is performed under the strict supervision of our experts, maintaining and following stringent quality standards. In the direction of attaining higher level of customer satisfaction, we follow ethical business practices, transparent business deals and offer easy payment modes to the customers. Owing to this, we have been successful in established the trust and confidence of a huge number of clients in India.